Harajuku (原宿), located within Tokyo, is one of Japan’s most well-known suburbs. It’s famous for its youth culture, over-the-top teen fashion and its kawaii (cute) shops and cafes. You might have heard of the amazing Kawaii Monster Cafe – it’s also located in Harajuku. No Japanese district filled with youth culture and kawaii can be complete without Sanrio, and what better suburb for one of Sanrio’s cutest characters than Pompompurin? Pompompurin (ポムポムプリン – also written PomPomPurin or Pom Pom Purin) is a dog – a golden retriever to be exact – who wears a brown beret. 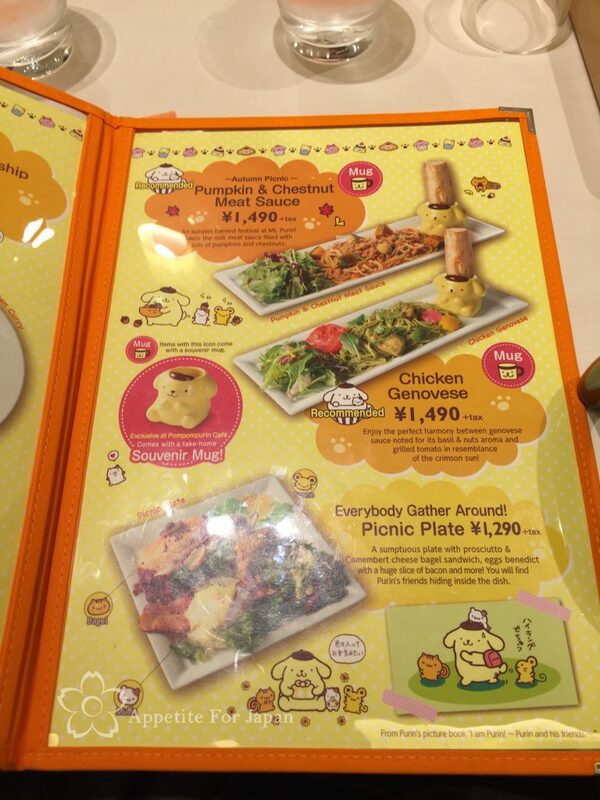 Unlike Hello Kitty who has turned out to be a girl, not a cat (and I’m still dubious about this), Pompompurin is apparently definitely a dog – even though ‘purin’ is Japanese for creme caramel pudding. Creme caramel pudding is actually Pompompurin’s favourite food, and yes, you can order it at the Pompompurin Cafe. 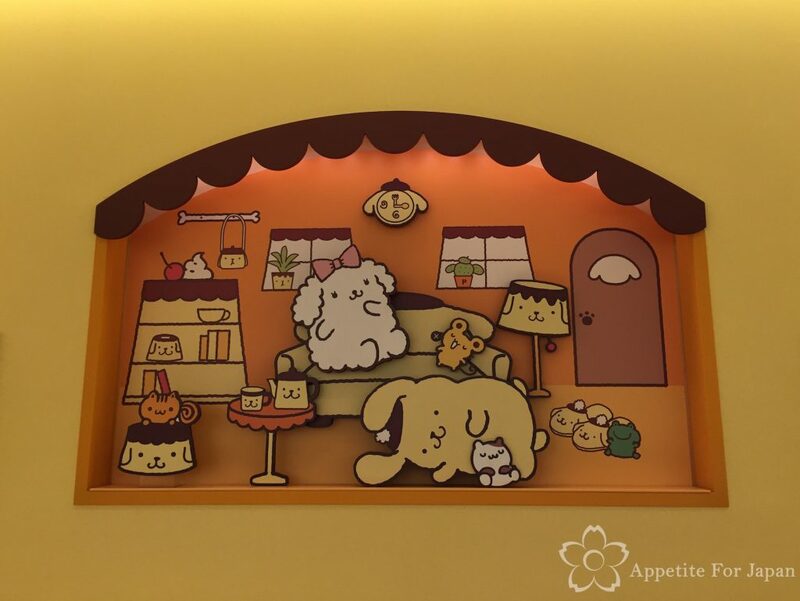 The Pompompurin Cafe is an official Sanrio Cafe, and it’s really cute. Super kawaii, even! Like many themed cafes, you can expect to find lots of tiny tables seated within close proximity of one another. Something that my partner noticed was that when we visited, there were only three guys in the whole restaurant, himself included. Most of the customers were teenaged girls, young women, a couple of families and three girls who brought guys with them. 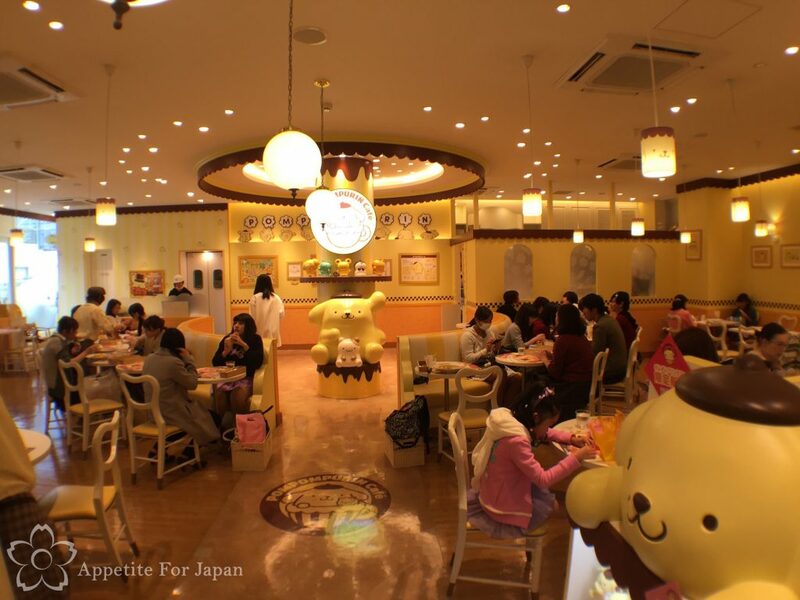 In the centre of the restaurant is a large Pompompurin and his best friend, Muffin. 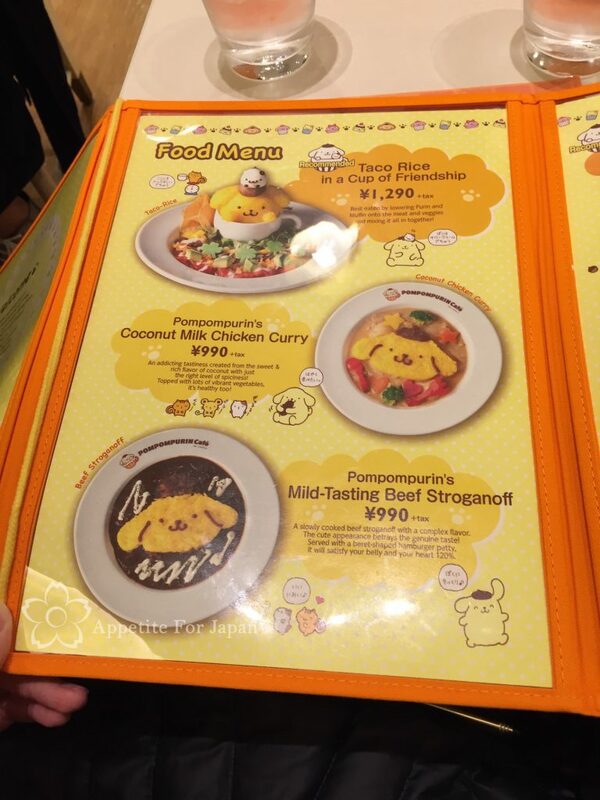 A lot of themed cafes and restaurants in Japan do not allow photos, so it’s always a big plus when we find a restaurant that allows this. The menu is not huge, but everything that they make is really cute, from the savoury dishes to the desserts and the drinks. 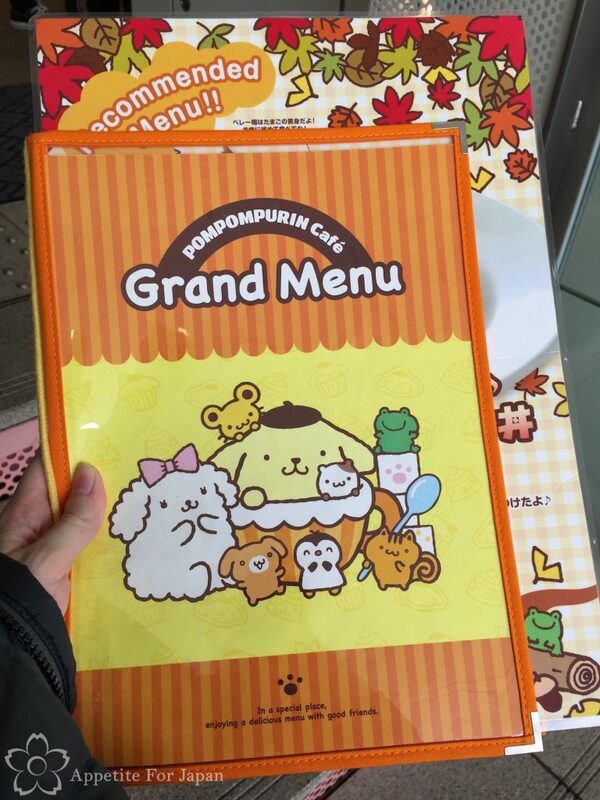 One way or another, everything that you order will feature Pompompurin. I regret that I didn’t order dessert, but I simply couldn’t fit in anymore food after my lunch and drink (which in itself was practically a dessert), and we pack so much into our itinerary that there’s only so much that we can eat at each restaurant… We really eat our way around Tokyo. If you can fit in a dessert, you should definitely consider it, as they look great. Some of the desserts also come with souvenir cups. There is also a recommended menu which appears to be seasonal. 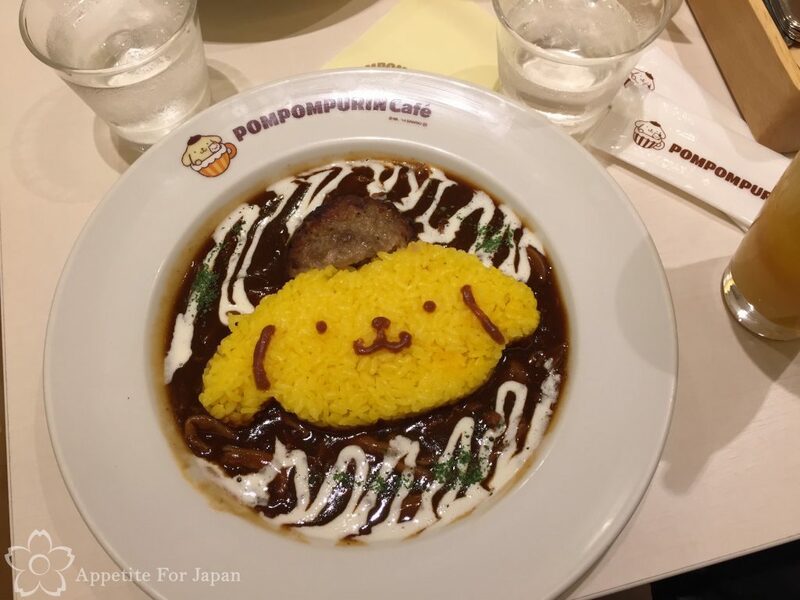 Above: I ordered Pompompurin’s Mild Tasting Beef Stroganoff – 990 Yen (before tax). It was not bad. It wasn’t the same as the beef stroganoff that I make at home in Australia, but I was quite happy with it. 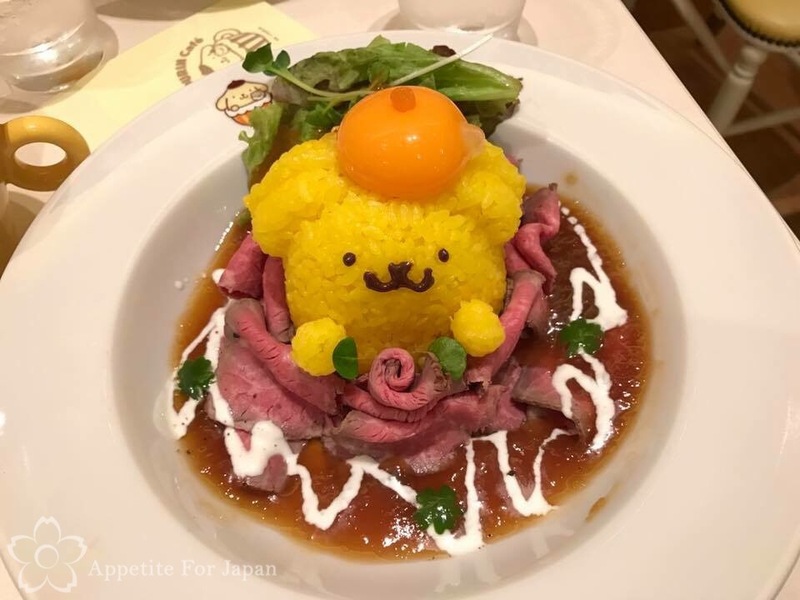 Pompompurin’s face was made of yellow rice, and his beret was made of a small piece of hamburger. Above: My partner ordered the Rose Meat Roast Beef Bowl – 1,29o Yen (before tax) which he also felt was quite good. 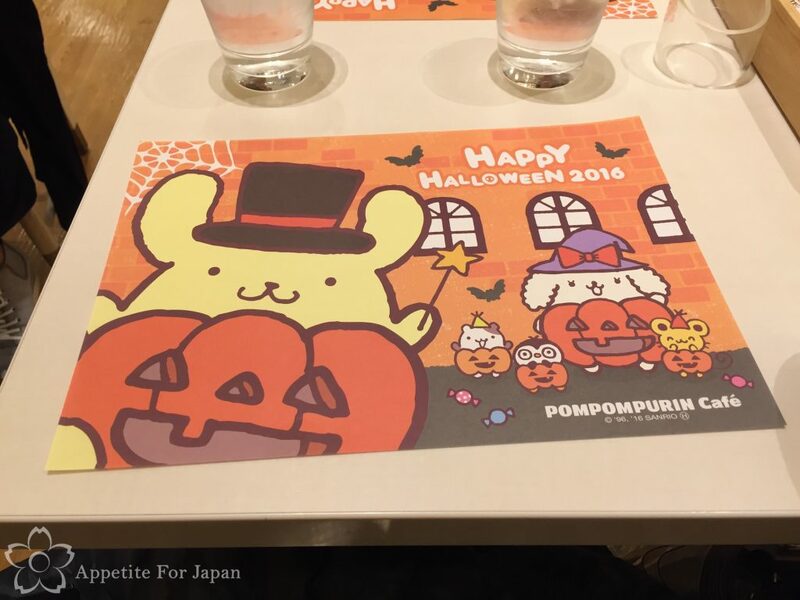 We don’t necessarily expect themed cafes to have good food, so we were pleasantly surprised with the quality of the Pompompurin Cafe’s meals. Above: I ordered the Iced Mango Soda – 750 Yen (before tax). Whilst overpriced, it was nice – and as I mentioned before, it kind of doubled as a dessert. Above: My partner had the Love Love Hot Marshmallow Latte – 790 Yen (before tax). Again, way overpriced, but aside from that he enjoyed it. The marshmallows feature Pompompurin and Muffin. Above: Seasonal placemats are on the table when you arrive. Like many themed cafes, they know that customers will want to keep these, so they have no qualms about you taking these to keep rather than using them while you eat. They also have coasters (also seasonal) and again, they know that people are likely to want to keep them rather than using them, and that’s okay too. 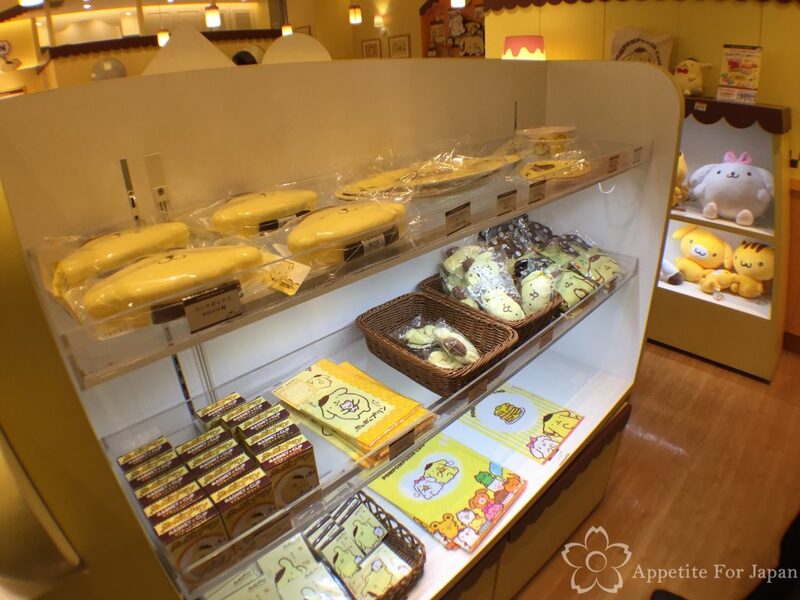 At the entrance to the cafe, just near the counter, you’ll find a range of Pompompurin merchandise. 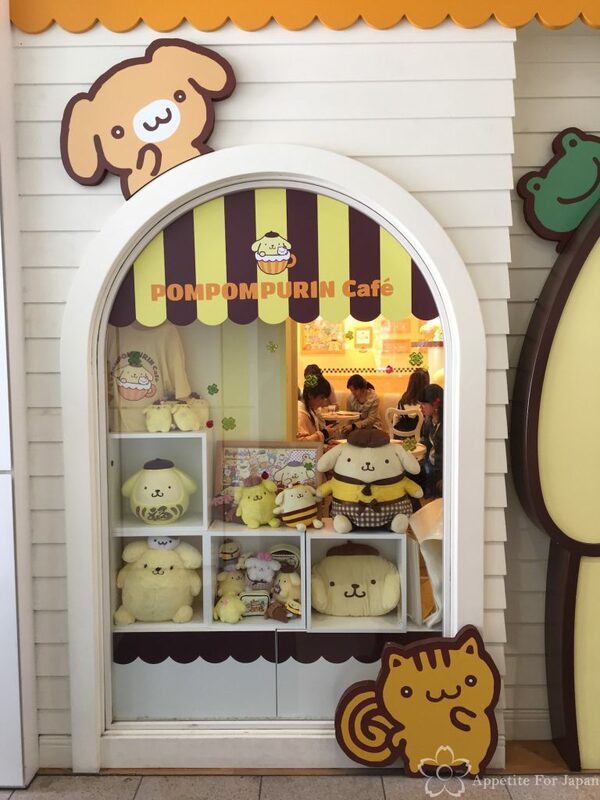 Some of the merchandise is exclusive to the Pompompurin Cafe, so make sure you check this out if you’re a big fan. 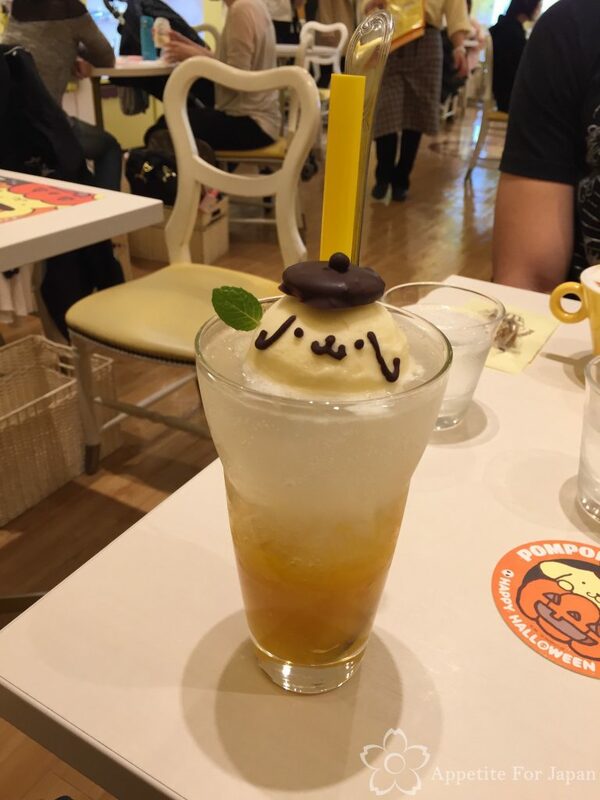 Would I recommend the Pompompurin Cafe in Harajuku? 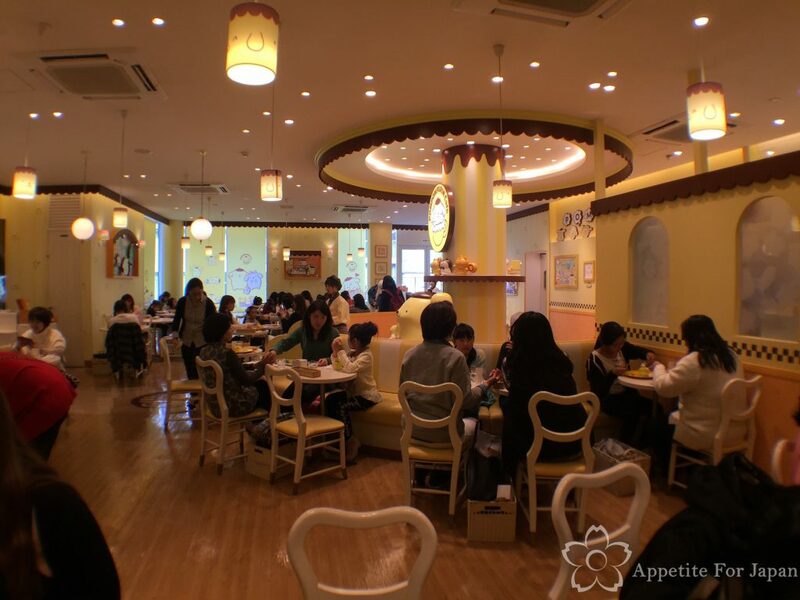 We enjoyed our lunch at Harajuku’s Pompompurin Cafe. 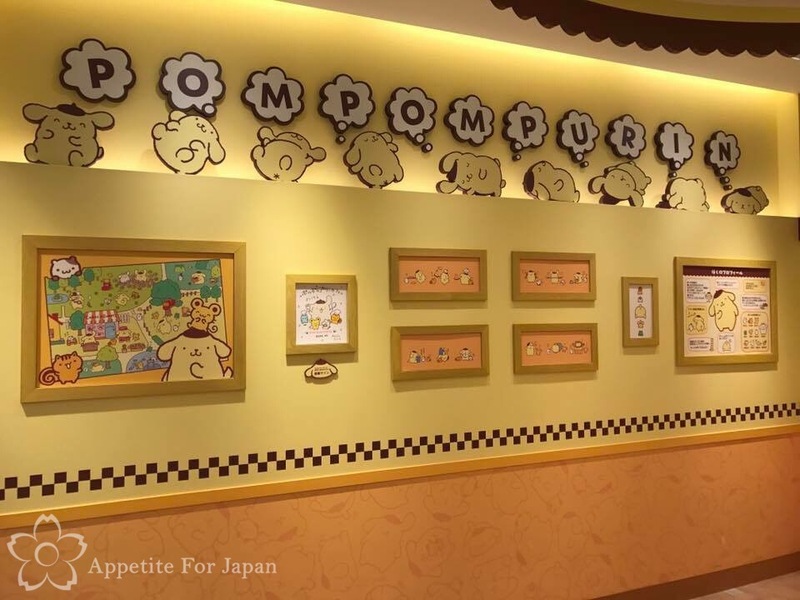 Themed cafes can be a bit hit-or-miss, so we’re never sure what to expect, but for the most part the Pompompurin Cafe was good. The cafe was decked out in Pompompurin cuteness, the food was super kawaii and pretty decent as well, and we were allowed to take photos. The downsides were that tiny tables were so close to one another in the crowded restaurant (I’m just really not a fan of being seated so close to neighbouring tables), the service was slow, and the prices were high. That being said, themed cafes are usually overpriced – you’re not just paying for the food, but for the theme as well, if that makes sense. Note that the prices listed for the meals are before tax, so make sure that you factor this in, as the total will come to more than you might expect once they add on the tax when you go to pay. Our lunch came to a total of 4,125 Yen (including tax) and we didn’t even order dessert. Factor in the currency conversions (the Aussie dollar was not great at the time) and that’s a fairly pricey lunch considering that good food can be found at reasonable prices in Japan. 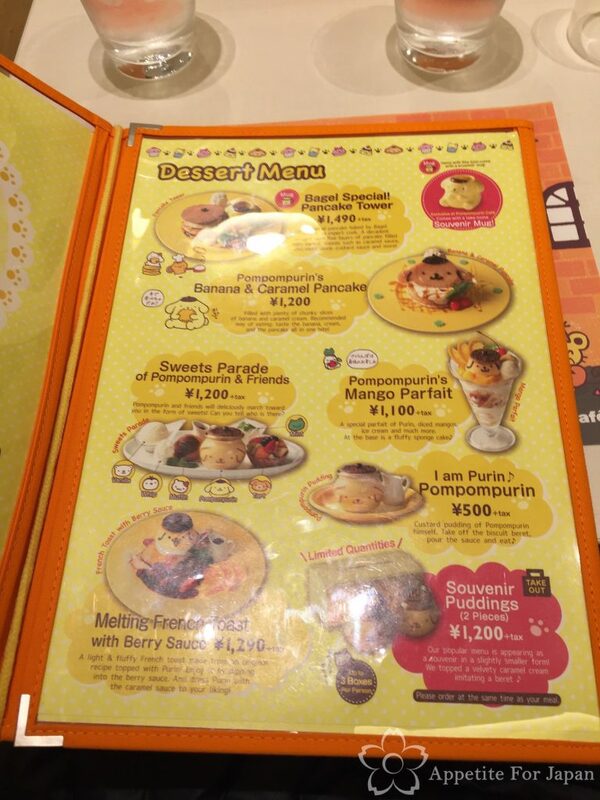 All things considered, though, I do think the Pompompurin Cafe is pretty good, and I’m glad I went. 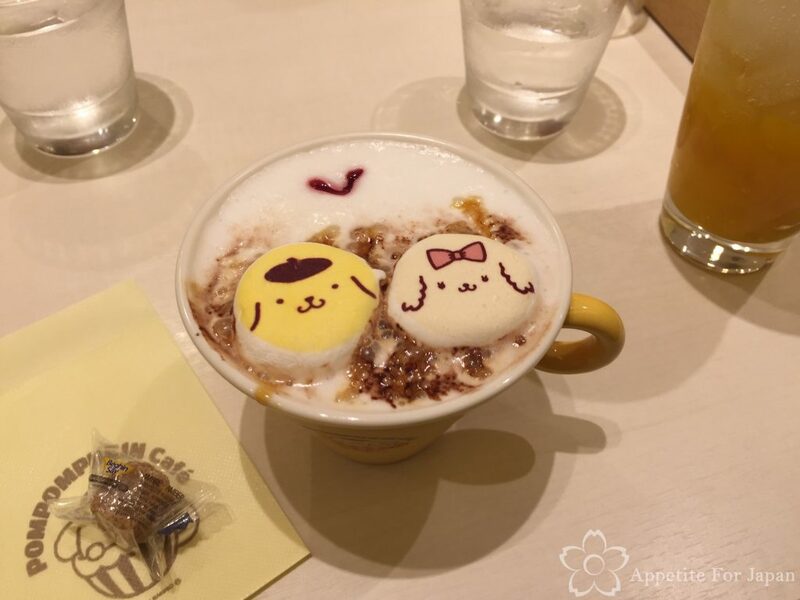 If you’re a fan of Pompompurin or Sanrio in general and you’re keen to visit a kawaii themed cafe, this is definitely one to consider. Getting to the Pompompurin Cafe is really easy. From Harajuku station, enter Takeshita Dori (Takeshita Street) – that’s the crowded street full of interesting shops (if you’re going to Harajuku, you’ll almost certainly be taking a stroll down this street). About halfway down, the Cute Cube building will be on your right. 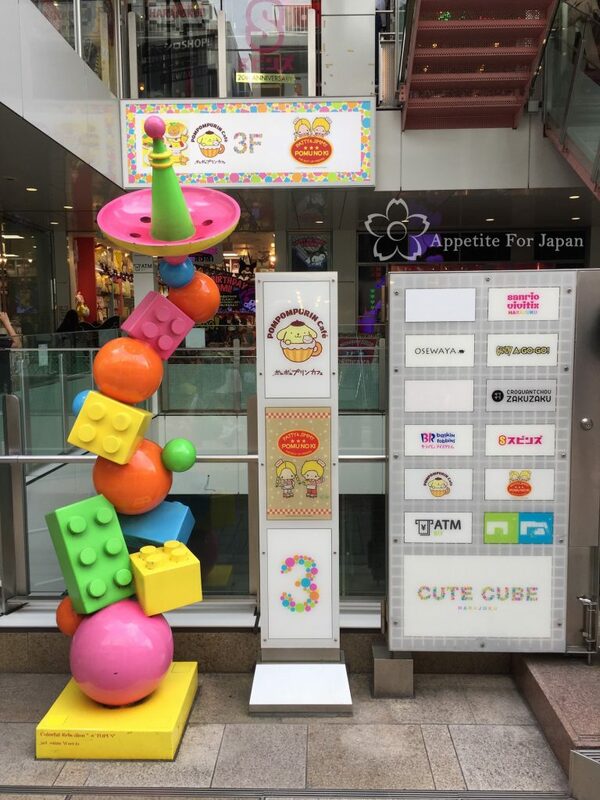 Just look for the colourful sculpture with Lego out the front. 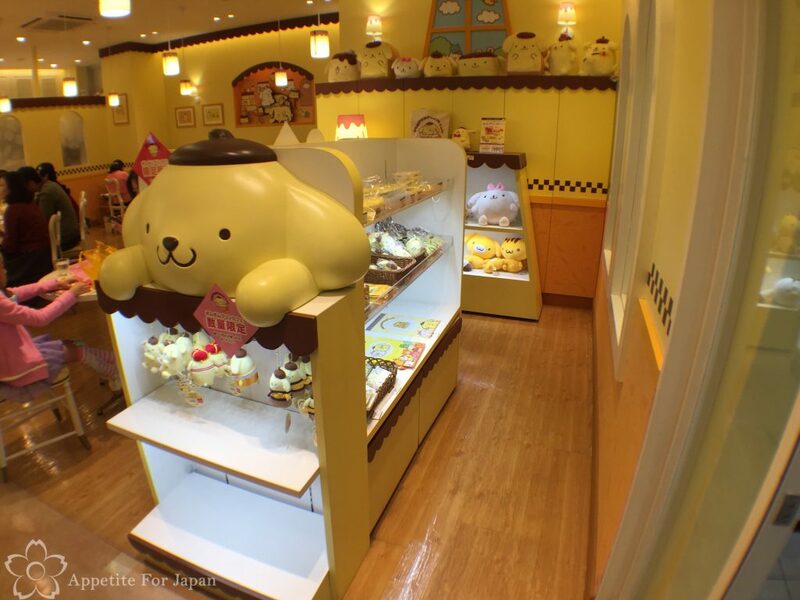 The Pompompurin Cafe is on the third floor. Once you reach the third floor, it’s right there at the top of the stairs. 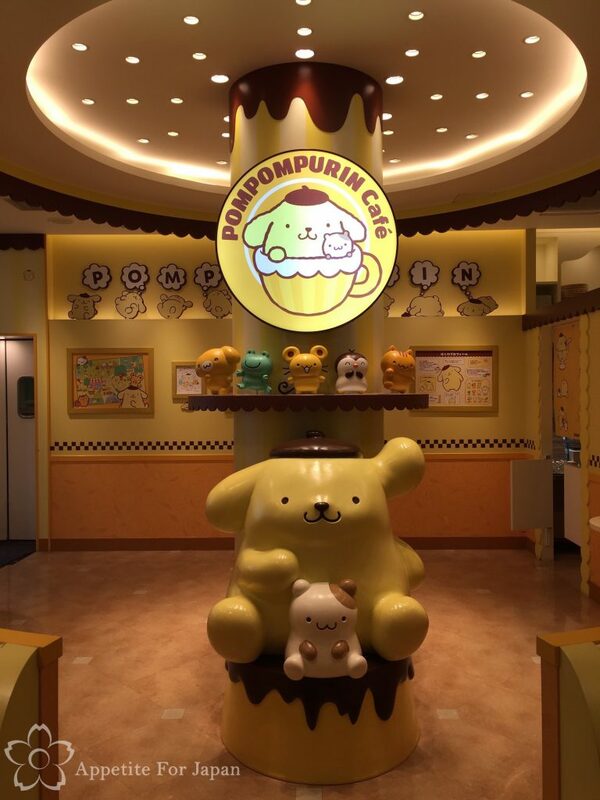 If you go around lunch time, there will be a queue of people halfway down the stairs anyway – yes, that’ll be the queue for the Pompompurin Cafe. We got in line at about 11:30am and waited about 15 minutes to get in. On weekends you can expect to wait longer. 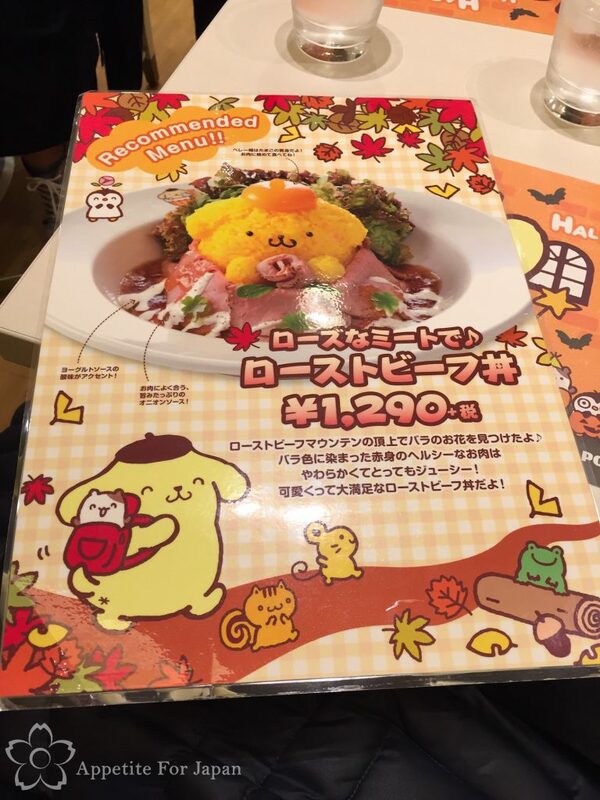 There is another cafe opposite it, the Pomu no Ki Cafe, which doesn’t get anywhere near as crowded – it specialises in omurice (omelette rice – a tasty western-inspired Japanese dish) and occasionally does collaborations, such as when it temporarily became the Ojipan Cafe in 2015. 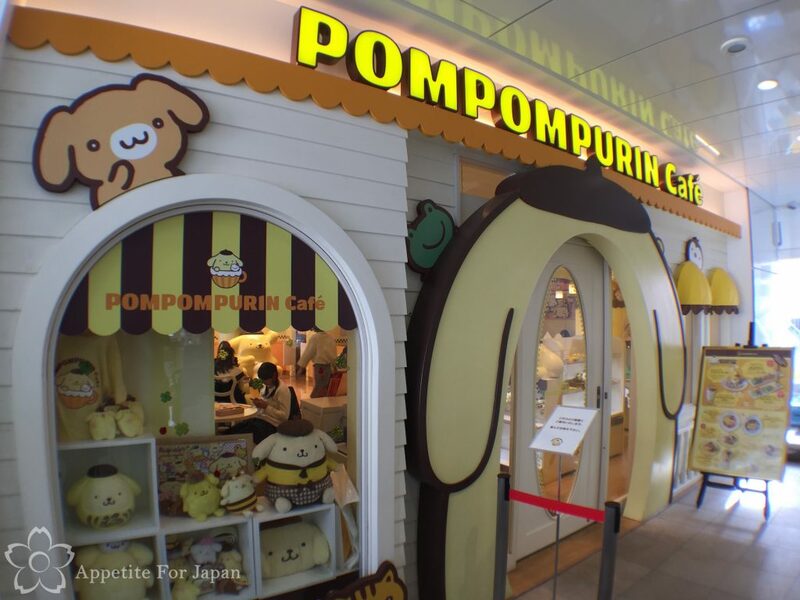 If you’re starving and can’t handle the wait for the Pompompurin Cafe, you can probably walk straight into the Pomunoki Cafe… but for your kawaii fix you’ll probably want to stay in line for the Pompompurin Cafe. 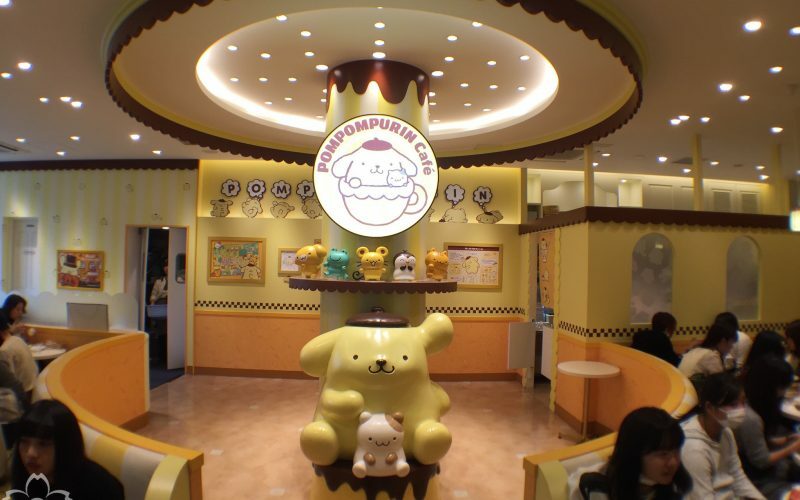 There are also Pompompompurin Cafe branches in Osaka, Nagoya and Yokohama. Sanrio Puroland – the theme park dedicated to Hello Kitty, Pompompurin and more.